The Hall of Shadows was split this year between haunters, vendors, filmmakers and special effects on one side, and the interactive scare zone on the other, where SoCal’s top haunters previewed their upcoming spooky haunts for fall. The Hall main stage featured everything from zombie burlesque to the classical quartet Nostalgic Nebula. The flexible and talented Decayed Brigade, SoCal Sliders, returned with a brand new show. My personal favorites were Murder House Production’s Trick ‘r Treat maze and The Haunt Store’s display of those awesome AtmosFX projections. Six Flag Unleashed showed off their glow-in-the-dark world, with the most talented folks on stilts I’ve ever seen. Warner Bros. Studio Tours showed off costumes and props from It and The Nun, in promotion of the upcoming Horror Made Here: A Festival of Frights, starting in October. This year, there was an abundance of creepy and unique creations from some exceptionally talented artists and creators, where screamers could find everything and anything relating to Halloween and horror. Screamers over 21 were able to get a blue wristband and purchase adult beverages at bar stations around the convention hall, or one of two cash bar attractions hosted by Sinister Pointe’s Scary Place and Slashback Video, courtesy of Bearded Lady’s Mystic Museum. Thinking of creating your own decorations for Halloween but don’t know where to start? Well, Midsummer Scream had you covered. On the Show Floor, SoCal Valley Haunters taught screamers how to create their own tombstones, carve foam pumpkins, make lanterns and village displays, with the help of Dept. 56. Down the hall, classes on Halloween floral arrangements, budget decorating, yard displays and more, inspired a whole new generation of Halloween designers. Screamers flocked to the upstairs second floor, where they could fall in love with rescue kittens in the Black Cat Lounge, or attend haunt shows and theater presentations from Bob Baker Marionette Theater, Zombie Joe’s Underground Theater Urban Death, and many others. Inside the Screaming room, screamers could watch horror shorts and listen to spooky stories. A nice respite for weary feet. On Saturday, screamers celebrated the 30th anniversary of Elvira, Mistress of the Dark movie, where they were treated to interview clips of cast of the movie and with amusing, funny and witty anecdotes from the Mistress of the Dark herself, Cassandra Peterson. On Sunday, screamers packed the room again for the 25th anniversary of Hocus Pocus and hear behind-the-scene stories. After an incredible live performance from The Unauthorized Musical Parody of Hocus Pocus, the panel featured actress Thora Birch, who played Dani, producer David Kirschner, screenwriter Mick Garris, composer John Debney, production designer William Sandell and make-up and special effects artist Tony Gardner. The fabulous Cassandra Peterson spent two days signing autographs at her booth, where Elvira’s Boo-tique and Sweet Hollywood were selling candy, clothing, novelty items and other amazing Elvira wares. I swear this woman has done a deal with devil or something because she does not age! This past year, Cassandra retired Elvira from doing Knott’s Scary Farm and I heard she’s cutting back her schedule, possibly to work on an autobiography? In any event, it’s so great to see her at Midsummer Scream. I hope she returns next year! That pretty much wraps up my experience. I’m sure I missed a ton of stuff because there’s just so much to do and see. Midsummer Scream is now my favorite horror convention. I have a feeling this show is only going to grow and get better. Highly recommended for Halloween and horror fans. Some of the goodies I bought at the show. A little birdie told me that Halloween merch is already creeping into the retail stores. While there may be a desire to throttle the messenger, since nobody likes ultra-aggressive commercialism, for Halloweenophiles, this news might as well have been heralded in by silver trumpets. This is the unofficial start of the Halloween season! Wait, Halloween in July? Why the heck are they starting so damn early? What’s the rush? Indeed, the rush may be simple math. 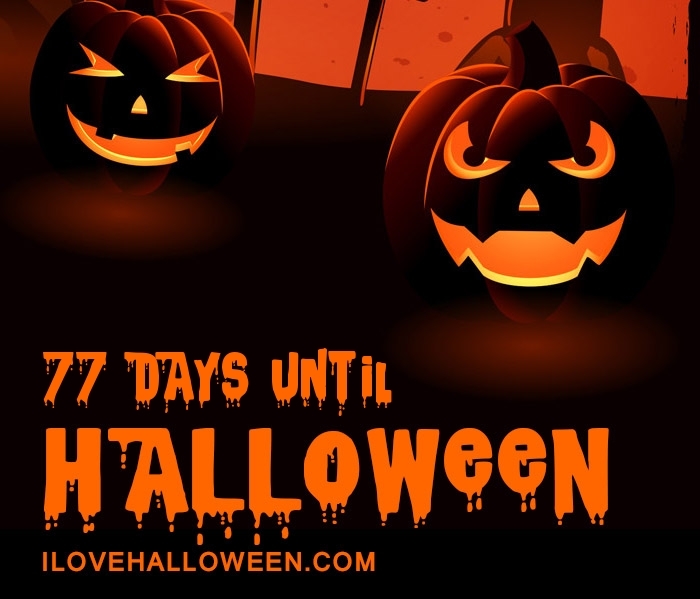 The National Retail Federation estimated that Americans spent $9.1 billion on Halloween last year, up from $8.4 billion in the previous year, with $2.7 billion spent on decorations alone. Anyone who works or has worked in retail knows the need to get sales into the black, as early in the year as possible, is much desired. According to NRF’s annual Halloween survey, over a third of Halloween shoppers start in September or earlier. Roughly 30% of households find inspiration within physical retail stores. No one likes empty shelves, so retailers always look ahead. Thus, the term “holiday creep” is born. Holiday creep, which is more associated with Christmas, but can be used interchangeably with all holidays, like Halloween, Valentines, Easter, etc., only increases year to year, so, retailers will often cater to those shoppers in hopes of moving merchandise sooner than the Halloween season, mostly because the bigger holiday season follows right behind. In fact, those retailers spend a great deal of energy, time and money, fine-tuning their sales process and strategizing their local marketing efforts and inventories for the region. Weather, location and pop culture all have an effect on Halloween sales. They have learned over the years, discounted seasonal items, collectibles and blow-out back stock almost always sells out early. This in turn allows retailers to offer newer merchandise or restock old favorites, at full price, and sell even more during the months of September and October. There’s another really good logical reason by Halloween merchandise appears in stores early, and one could argue the term holiday creep shouldn’t even apply here. Anyone who frequents craft stores like Michaels or Joann’s understands that the supply chain must start earlier in the season. Artisans, designers, DIYs and other craftspeople who create and sell their own Halloween merchandise, can’t wait to get product in September. To be ready by October, their work starts now. The same goes with Christmas, shoppers need to craft their items before the holiday season in order to sell in the holiday season. That’s why Halloweenophiles, stake out their local Michaels and craft stores during the summer, we long for the glorious warm hues of Fall to first appear and caress our demented little souls. Halloween creep may be an annoying reminder to some people that time is flying by and the holidays will soon be here, but until the backlash is louder than the ringing of cash registers, holiday creep in general is unlikely to change. If you encounter anyone freaking out over that fact, kindly remind them this is a totally natural progression in our capitalist society, which benefits the entire country overall, relax and enjoy the fact that we Americans get to celebrate holidays at all.